Woretemoeteyenner (c 1797–1847), also known as Watamutina, Pung, Bung: a Trawlwoolway woman from Cape Portland. Woretemoeteyenner is the matriarch of many contemporary Tasmanian Aborigines including the Anderson, Gower, Hearps and Johnson families from the north-west coast. At thirteen, in an arrangement sanctioned by her father, Mannalargenna, Woretemoeteyenner went to live with the Bass Strait sealer George Briggs. 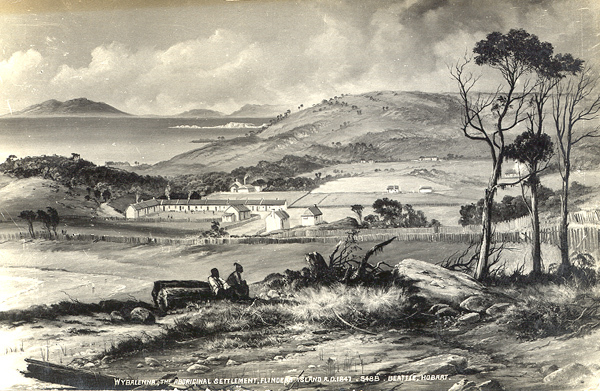 She had five known children by Briggs: an infant girl (died in 1811 after being thrown into a camp fire by Aborigines near Launceston), Dalrymple (1812–64), Eliza (1817–37), Mary (1818–39) and John (1820–79). During 1825–27, Woretemoeteyenner's travels with sealers took her as far as Rodrigues/Mauritius. Incarcerated from 1830 in the Aboriginal establishment, in 1841, after her daughter Dalrymple (Dolly) Johnson applied for her release, Woretemoeteyenner left to reside with Dolly and her family, the only Aborigine ever so released. She died at Latrobe in 1847. Further reading: H Roth, The Aborigines of Tasmania, London, 1890; B Mollison & C Everitt, The Tasmanian Aborigines and their descendants, Hobart, 1978; N Plomley (ed), Weep in silence, Hobart, 1987.